Linda J. Reynolds, 73, passed away September 2, 2018. 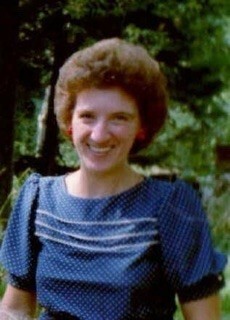 Born in Dye, Virginia, Linda had lived in the Akron area for most of her life. She was a member of Harmony Baptist Church. She was preceded in death by her mother, Gladys Shaw; father, Lynkis Dye; and step father, Donald Shaw. Linda is survived by her husband, William C.; step daughter, Dreama (John) Ayers of Ravenna; sisters, Nancy Crano of Tallmadge, Judy (Howard) Wellock of Akron, and Diane Semler of Cuyahoga Falls; brother, Jack (Kathy) Dye of Newport News, Virginia; grandsons, John Ryan and Mitchell Ayers; and many nieces and nephews. Visitation will be 5 until 8 p.m., Thursday, September 6, 2018 at the Donovan Funeral Home, 17 Southwest Ave. (On the Historic Tallmadge Circle). Funeral Service at 1 p.m. Friday, September 7, 2018 at the funeral home with Rev. Bernard Christy officiating. Interment will take place at Northlawn Memorial Gardens.